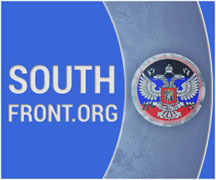 Novorossiya Military Briefing – Novorossiya Shall Be! We are currently witnessing an epic and, in its own way, historic event. The Ukrainian regular army and the punitive battalions are suffering a catastrophic defeat to the south of Donetsk. Only a short time ago the Republics were in dire straits: the DPR was hanging only by a thin supply thread, which the Ukrainian Army was attempting to sever near Shakhtersk and Krasnyi Luch; the summit of Saur-Mogila had been abandoned, and Bolotov’s counter-offensive had failed to bring decisive victories. To many it seemed that the Militia forces were on the ropes and on the verge of breaking, which would have led to the collapse of Novorossiya and a military victory for the fascist Junta. Nevertheless, the Militia managed to withstand the most severe blow, which the Junta dealt with all the forces available to it in the first half of August. The Junta did not conceal its plans, and the preparations for the assaults on Shakhtersk and Lugansk were openly discussed. The levels of braggadocio in the triumphant reports, that came with each new breakthrough of the Junta’s mechanized battle groups, were off the charts. The first critical moment came when soldiers of the 25th Airborne Brigade of the Ukrainian Armed Forces (UAF) and units of the National Guard broke into Shakhtersk. In those days, the fate of the DPR hung literally by a thread, and the Junta was on the verge of a strategic victory. But those few Militiamen who mired the Junta forces in urban battles and held their ground until reinforcements arrived saved Novorossiya from being dismembered into two parts. In subsequent battles, the Junta’s breakthrough was localized and defused, and, after sustaining heavy losses in personnel and military hardware, the Junta’s forces in this location were routed. 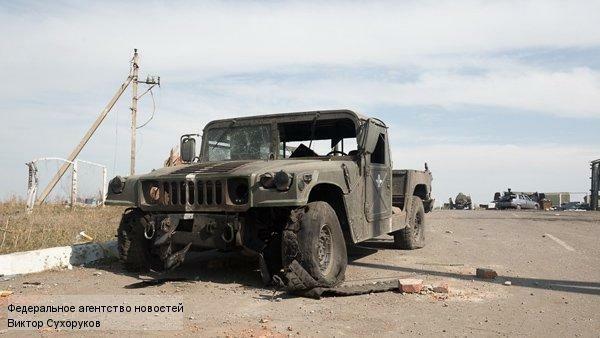 The second critical moment came when a strike was made from Debaltsevo through Fashchevka, intended to converge with the 24th Mechanized Brigade that was breaking out of the Southern Cauldron. It was an ambitious plan, whereby the enemy tried to bisect Novorossiya by using as a strike group the units that everybody assumed had been written off. This joint strike on Miusinsk and Krasnyi Luch triggered a severe crisis in Novorossiya because there were very few troops in this area. Miusinsk, through which the mechanized convoys of the junta slipped unhindered, was hardly defended at all, and in Krasnyi Luch some of the Cossacks abandoned their positions. This gave rise to a palpable threat of Novorossiya being split in two and of the militia grouping located in the area of Torez-Snezhnoye-Saur-Mogila being eliminated. But, once again, the courage of ordinary soldiers who clung to the towns of Krasnyi Luch and Miusinsk allowed the Militia units to hold out until the arrival of reserves that assisted in purging the enemy from these cities. Having overcome the crisis, here also the Militia was able to win decisive battles, which had far-reaching consequences. 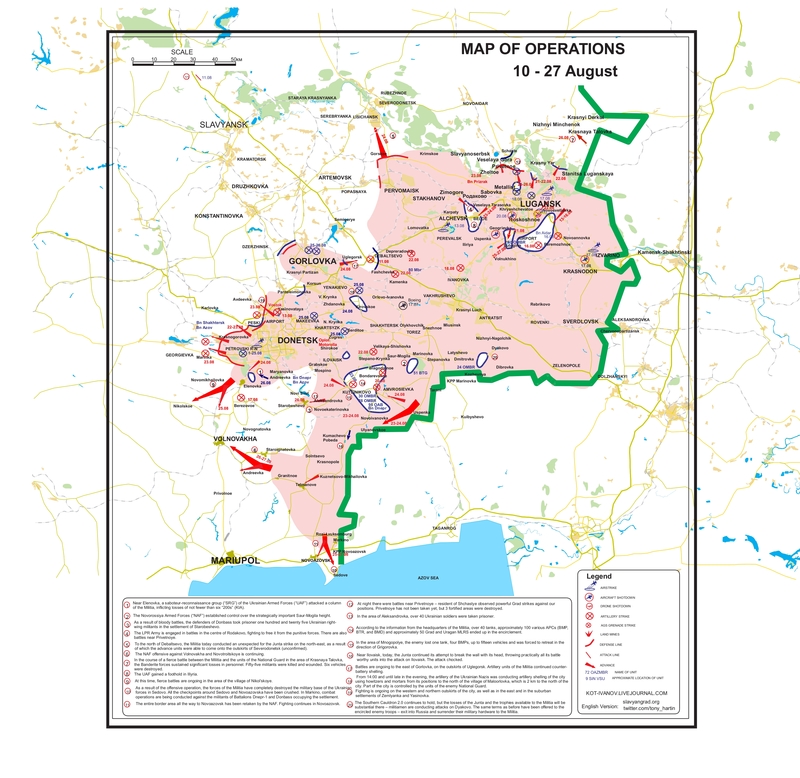 Because the offensive on Yasinovataya failed; the breakthrough to Verkhnyaya Krynka and Zhdanovka, aimed at cutting off Gorlovka, was liquidated; and the Junta failed to advance toward Yenakievo—in the second half of August the Junta’s offensive started to run out of steam and the Militia gradually began to gain offensive momentum. Objectively, the situation demanded that the Junta halt the offensive, regroup, pull up reserves, create stores of fuel and ammunition, and then resume the offensive by assembling new strike groups. Nevertheless, political considerations dictated a continuation of the offensive by the same depleted battle groups. 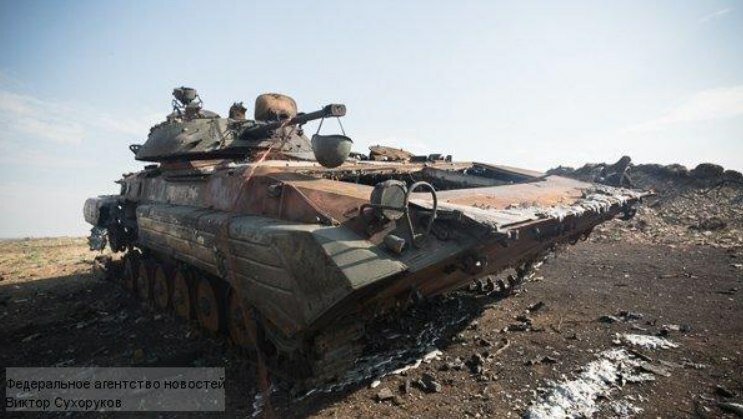 Because the front in the LPR on the whole had stabilized, the South Cauldron was routed, and the offensive to the north of Donetsk had been stopped, the Junta continued its offensive in the South, trying to take Ilovaysk and Mospino head-on despite the serious operational risk. And the more the Junta became embroiled in these battles, the narrower became the front of its offensive. Having begun in early August over a broad swathe of the battlefront, already by August 20th the Junta’s offensive narrowed effectively to a single point. The outer limits of this offensive were the southern slopes of Saur-Mogila, the semi-encircled Mospino and the southern suburbs of Ilovaisk. 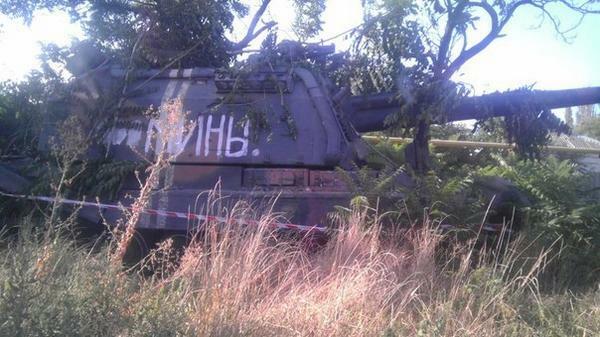 In the last few days of the offensive, it was reduced simply to a primitive frontal assault on Ilovaisk. Meanwhile, a threat that later proved to be fatal was looming on the Junta’s southern flank. Having finished off the Southern Cauldron, and after repelling the offensive on Miusinsk and Krasnyi Luch, the Militia recaptured Marinovka (control of which in July-August twice went back and forth between the factions) and started to seep along the border toward the Uspenka border-crossing, in the process encircling the Amvrosievka grouping. It is difficult to say why the Junta did not react to this threat—it is possible that the Ukrainian command decided that the only danger in this area was the activity of the saboteur-reconnaissance groups (SRG), which, though unpleasant, carried no operational significance. Alternatively, they may have thought that they could manage to achieve success near Ilovaisk and then fend off the threat coming from the South. 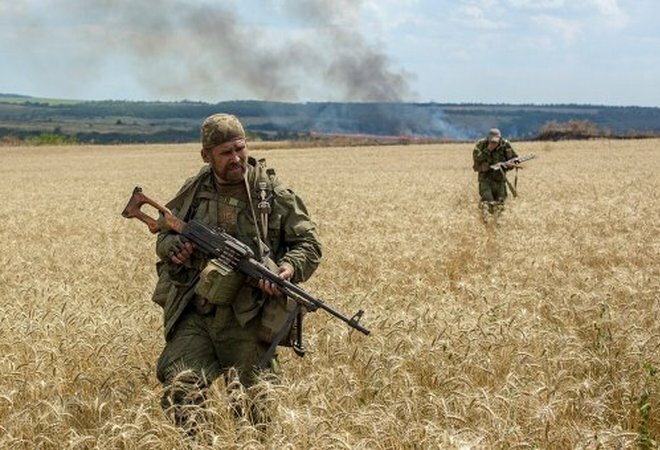 As a result, the Militia was able to accumulate a sufficient force to the south-east of Amvrosievka, and this force carried out a cleaving strike on the supply lines of the main forces of the Junta that were embroiled in the fighting near Ilovaisk, Mospino and Saur-Mogila. At the same time, the forces of the enemy advancing from the South were met to the West of Mospino with a strike by a mechanized battle group of the Militia. The Junta did not expect this manoeuvre because until quite recently they were the ones trying to encircle Mospino from both sides. By the looks of it, the Junta’s intelligence missed this offensive entirely, and as a result of this oversight a comparatively small Militia force intercepted the main supply routes of the Junta’s largest battle group to the South of Donetsk. 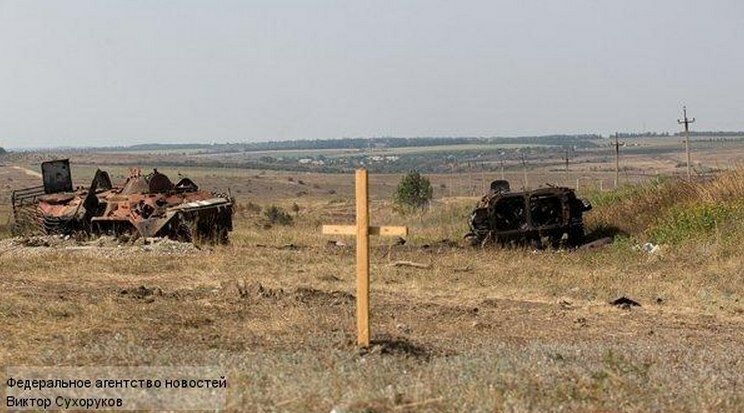 This grouping was comprised of the enemy’s most combat-capable units involved in the assaults on Mospino, Saur-Mogila and Ilovaisk, including the three punitive battalions—Azov, Shakhtersk and Donbass-1, as well as the various reinforcement units and independent companies. More than five thousand soldiers, approximately 180 various armoured vehicles, and up to ninety artillery pieces, mortars, and MLRS ended up being surrounded. Though the difference in scale makes a direct comparison impossible, the Militia actually carried out a mini-“encirclement operation” similar to the Stalingrad Cauldron—a classic pincer strike in converging directions. While the Junta’s battle group had no Romanians or Italians on its flanks, it did, instead, have a gaping hole on one side, and on the other side—barrier troops that were never meant to withstand an attack by mechanized units. As a result, in addition to the unfinished remnants of the Dyakovo Cauldron, the Amvrosievka Cauldron was created, around which the Militia began to create a ring of encirclement, spreading its offensive to the South and to the South-West and, in the process, occupying settlements deep in the rear of the southern grouping of the Junta. At the same time, the enemy command structures rapidly disintegrated. The Azov Battalion in essence refused to subordinate, and the majority of its troops fled to Mariupol. 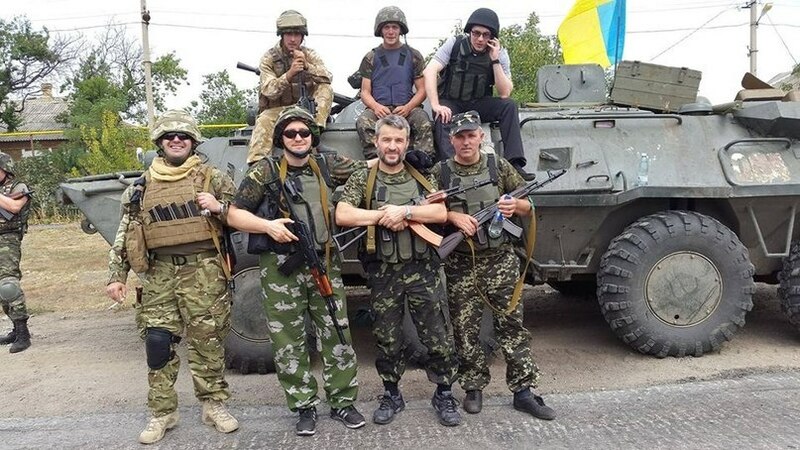 The Donbass-1 and Shakhtersk Battalions became mired in urban combat for Ilovaisk and, instead of breaking out of the cauldron, started to demand tanks and artillery from the military in order to continue their assault on the city, which by that time was virtually a lost cause. Because only rearguard units without heavy weapons remained outside the cauldron, the Militia immediately began to develop the offensive to the South-West of Amvrosievka, toward Starobeshevo, and took it by the evening of August 26th. 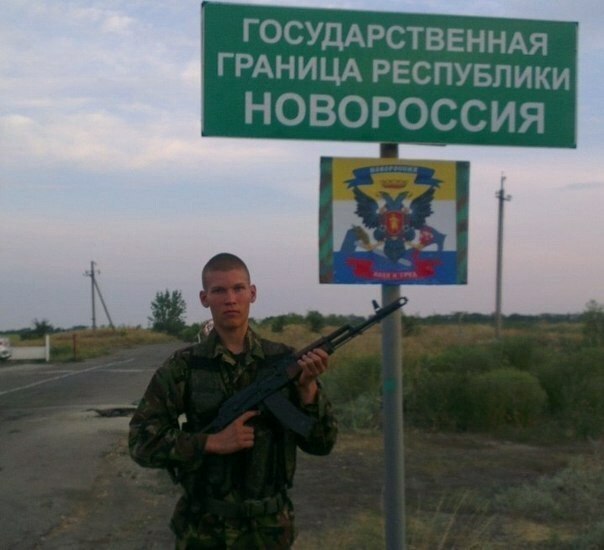 Meanwhile, Militiamen had already been moving toward Volnovakha on August 25th. Effectively, the loss of these centres means that here the Junta does not have positions from which it can try to break through to the surrounded forces. The encircled troops, in essence, ended up deep in the rear, far away from the new front-line, and with a limited supply of fuel and ammunition. And this new front-line is a gaping hole for the Junta, which has nothing to plug it with. The remnants of its forces, including the Azov Battalion, fled to Mariupol, in the process abandoning several settlements virtually without a shot. As a result, the Militia rolled directly into the suburbs of Novoazovsk and on to the approaches to Mariupol. On the Junta’s side, there is virtually no front from the area South of Starobeshevo and up to Novoazovsk. The Milita’s lack of sufficient troops is the only thing slowing down the looming catastrophe. At the same time, the Militia also developed its offensive to the west of Mospino, toward Ugledar, Yelenovka, and Nikolskoye. Here the forces of the Junta are few in number, so the Militia’s offensive has been developing quite successfully, albeit not too rapidly. Near Yelenovka, yet another “mini-cauldron” has formed, and the connectivity of the Junta groups that held Donetsk in semi-encirclement has been irreparably compromised. The Junta has no reserves with which to relieve the encircled group and to patch the massive hole in the front-lines—they are now hastily withdrawing troops from Perekop (on the Crimean border) and bringing territorial defence battalions of questionable combat readiness to the front. 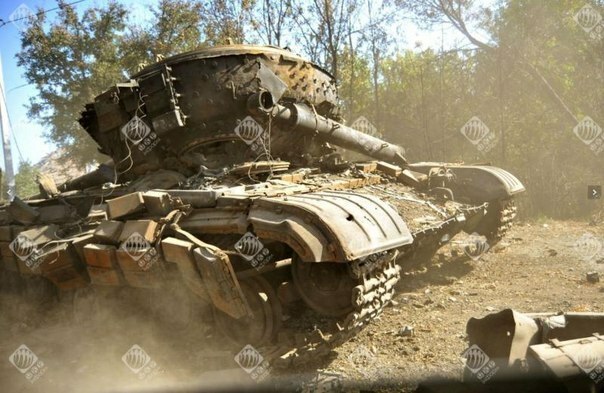 They have also announced the fourth wave of mobilization and are trying quickly to drag ancient armoured vehicles from long-term storage to the front-lines, in order to compensate for the huge losses in personnel and military hardware. Overall, it still is not quite clear how the Junta intends to avoid a complete defeat here. It will clearly not be able to restore the previous front-line, and the only question is whether the surrounded troops will be able to break out (and as they will have to do so on their own, it is likely that they will have to make that decision as soon as possible), and where the Militia’s offensive will stop—they still have fairly limited forces and they are now routing a larger force with a smaller force. In the meantime, the once-solid front, which stretched from Marinovka to Yelenovka has now broken up into separate pockets of resistance with intercepted supply lines. 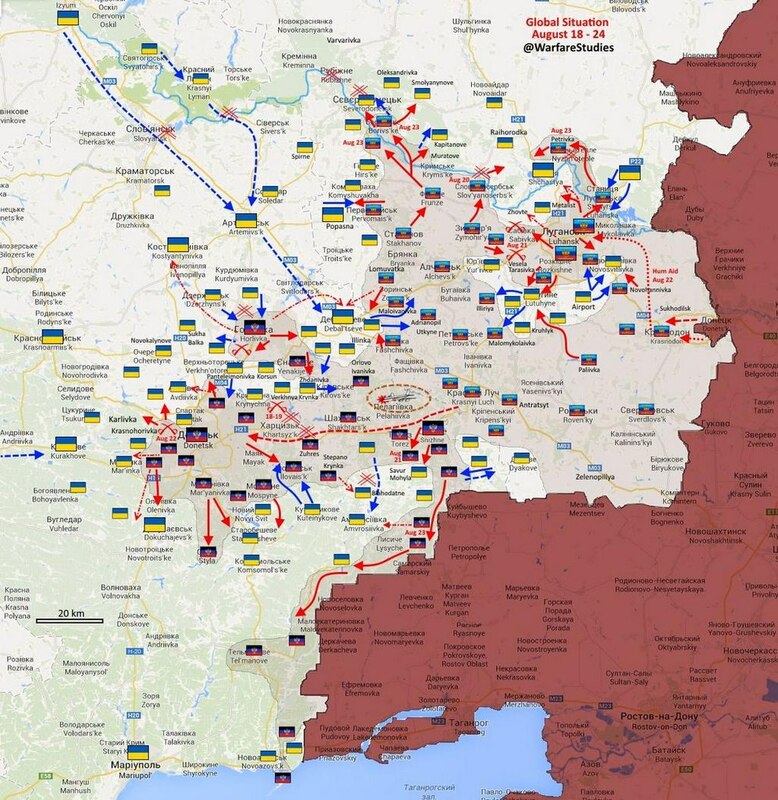 After this disaster it became absolutely clear that the Junta does not have the capacity to destroy Novorossiya. By squandering the most combat-capable brigades in systematic offensive operations, the Junta sustained enormous losses and at the same time suffered a crushing, purely military defeat. The southern front has collapsed. Novorossiya shall exist! Reblogged this on keesened's Blog.